While the success of your cattle farm depends upon multiple factors, it starts with the breed of cattle that you decide to raise on it. After all, each breed has its own distinctive characteristics, needs and productivity levels. In addition, certain cattle may grow and thrive well in the USA and other countries, but not here in Australia, so it is important to take this into consideration when you purchase your seed stock. 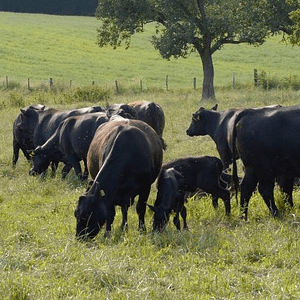 One breed that is ideal for this country is purebred Angus cattle, and we list some of the reasons why you should invest in this breed for your cattle farm in the facts that follow. Purebred Angus cows and bulls are revered for their reliable genetics that improve any herd in which these cattle are part of in Australia. As with other purebred animals, you should always know the background and heritage of the Angus that you purchase for your farm. Purebred Angus are highly fertile, this makes for a high calf production each year. This is an important consideration since you will need to expand the size of your herd at a steady rate for effective meat production or for sales of live animals. Without good fertility rates, you may need to purchase additional seed stock more often than your budget allows. Purebred Angus cattle typically contain the genetics to produce meat with the right amount of marbling to make it juicy, flavourful and tender, regardless of the cut. Of course, there is a grading process for the meat to inform consumers of the exact quality of Angus or other beef for that fact. When Angus cows have the right rearing and care, they are loving, nurturing mothers. Also, they calve easily without the issues that are common in other cattle breeds. Angus cattle are famous for their mild temperaments when they receive the right care and handling. For this reason, they are easy for you to manage in the variety of situations that will arise on your cattle farm. Also, research shows that mild temperaments help cattle gain weight at an acceptable rate better than cattle do that have unpredictable temperaments. For further facts about the reasons to buy purebred Angus cattle for your farm, consult with Southfork Angus. We have the expertise with this breed of cattle to deliver quality seed stock each time that you purchase from us here in the Mornington Peninsula.